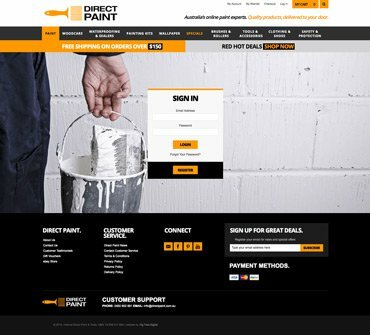 One of Australia’s largest online paint retailers, Direct Paint specialises in paint and painting tools delivered to home or work. The business uses bulk buying power to pass savings on to customers. 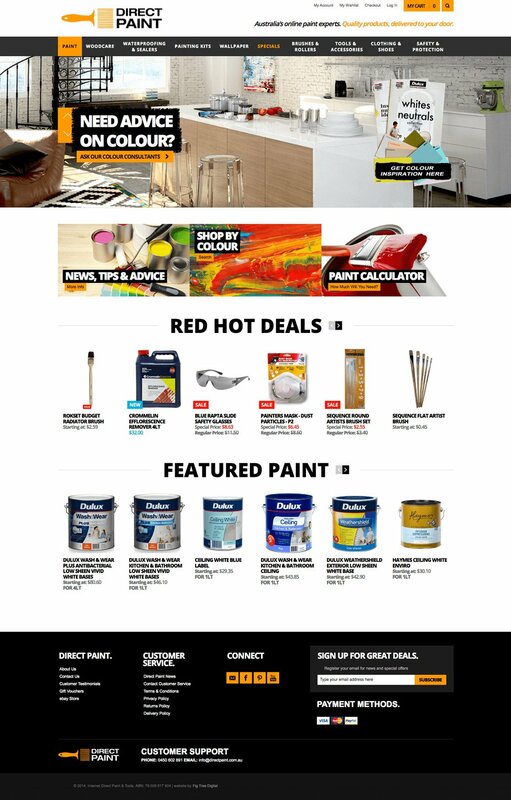 Direct Paint sought strategic guidance from Fig Tree Digital to assist with strengthening their online presence and increase sales. 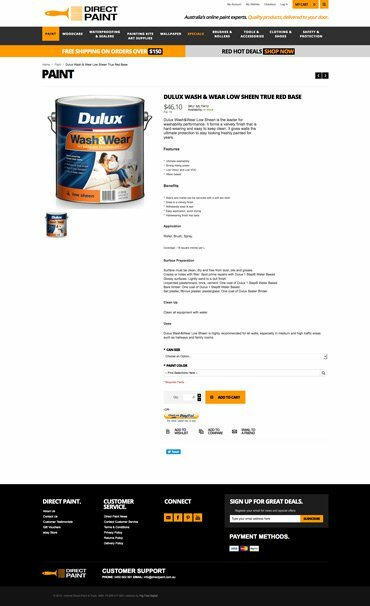 The client wanted to maximise views via online searches and tap into Google for improved sales success. By clearly identifying and defining their target audience, Fig Tree Digital recommended a comprehensive, responsive eCommerce website with a strong SEO component to improve online user experience. 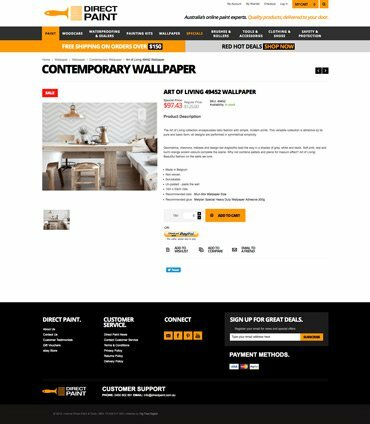 We designed and developed a high quality online store, with improved product search, advanced shopping cart functionality and supported by improved delivery options. Fig Tree’s extensive SEO Audit revealed areas of potential growth for organic search ranking and targeted tailored online advertising. The improvements made a significant contribution to growth in online sales. The dramatic increase in traffic was a clear demonstration of the power of data analytics. “Fig Tree sought a very high level of information relating to our business and our markets to make decisions that were relative to the way consumers in our market operate. They demonstrated an impressive grasp of the information they gained during research on the company.